Dior Homme Eau for Men by Christian Dior is a fusion-citrus French perfume for refined and bold men with a charismatic character. Aroma winner Dior Hom O Fo Men lives his life so swiftly and vividly, as if he has an entire eternity left. The fragrance opens up new facets of masculinity, sophisticated but elegant. The face of the fragrance from Dior was the young actor Robert Pattinson.Dior Homme E..
Dior Homme Eau for Men by Christian Dior is a fusion-citrus French perfume for refined and bold men with a charismatic character. Aroma winner Dior Hom O Fo Men lives his life so swiftly and vividly, as if he has an entire eternity left. The fragrance opens up new facets of masculinity, sophisticated but elegant. The face of the fragrance from Dior was the young actor Robert Pattinson. 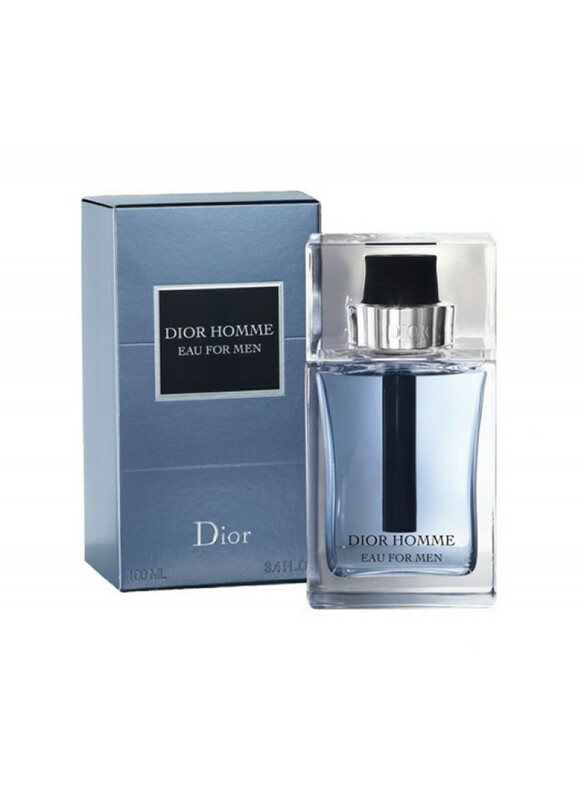 Dior Homme Eau for Men top notes are dominated by refreshing bergamot and Moroccan grapefruit. Heart notes breathe tuscan iris. Base notes that complete the perfume composition: cedar and Crimean coriander. The fragrance Christian Dior Homme Eau for Men was created by perfumer Francois Demachy in 2013.